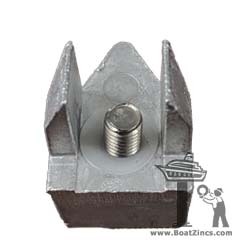 Mounting Screw: Anode includes 10-32 x 1/2" flat head socket screw with retaining washer. 1/8" allen wrench required. Size A is for line cutters with an overall length of 4". 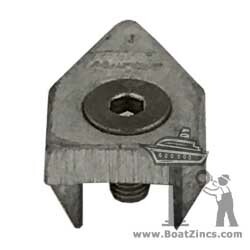 Size A line cutters fit propeller shaft diameters of 3/4", 7/8", 1", 1-1/8", 1-1/4", 20mm, 22mm, 25mm, 30mm.